The Erin Hanson Gallery presents a summer-only exhibition and pop-up gallery space in the heart of La Jolla on Girard Ave, located next door to Pharmaca and across from Sur La Table. This 2,500-square foot space will host a collection of Erin's most recent works with a focus on our California coast and San Diego landscapes. Erin Hanson uses thick oil paint applied with loose, painterly brush strokes to create her contemporary impressionist paintings. Her works are immediately recognizable by her vivid colors and abstract compositions. Alive with motion and color, an Erin Hanson original oil painting is sure to be a show-stopper within your own home. Inspired by the great outdoors, Erin Hanson has spent a lifetime backpacking and rock climbing across the Western states. Since moving to San Diego, Erin has been exploring our local landscapes and coastlines. 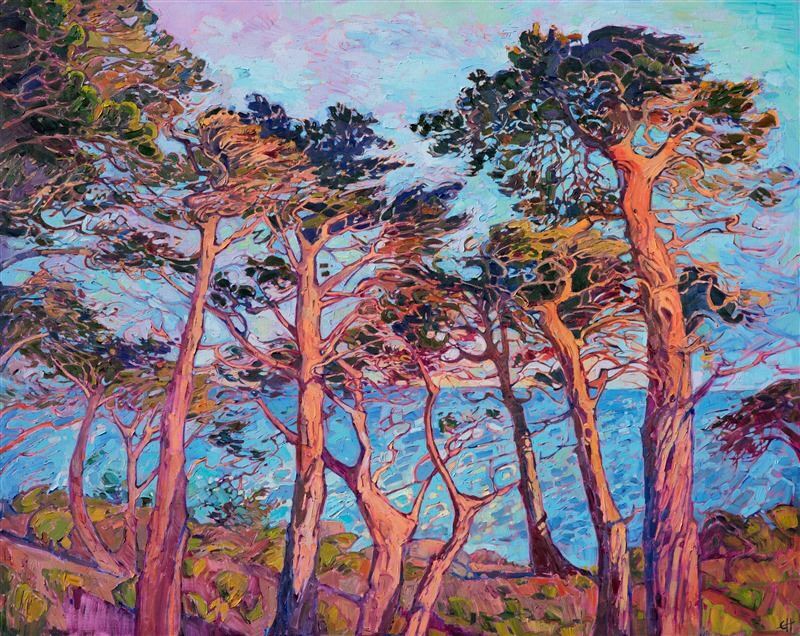 The summer pop-up exhibition in La Jolla will focus on Erin’s newest San Diego-inspired works.With museum shows booked through 2021, exhibitions that routinely sell out, and hundreds of thousands of followers online, there is an ever-increasing demand for Erin Hanson’s original oil paintings. Her unique style, known as Open Impressionism, is routinely taught in schools across the world, and Erin herself is inspiring a re-birth of impressionism in the contemporary art world.